A new Medraptors paper has been published on Avocetta journal. 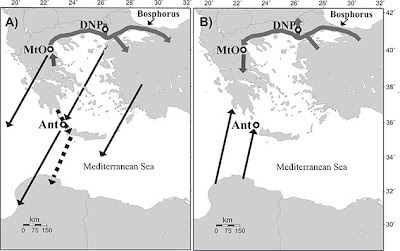 It is a paper reviewing what it is actually known about the migration of raptors in Greece. In the last ten years different research were made at three watchsite: National Park of Dadia-Lefkimi-Soufli, island of Antikythira and Mount Olympus. Moreover a study realized by satellite telemetry was carries out tracking Eleonora's Falcons. All these research showed different migration strategies performed by the different species of raptors. 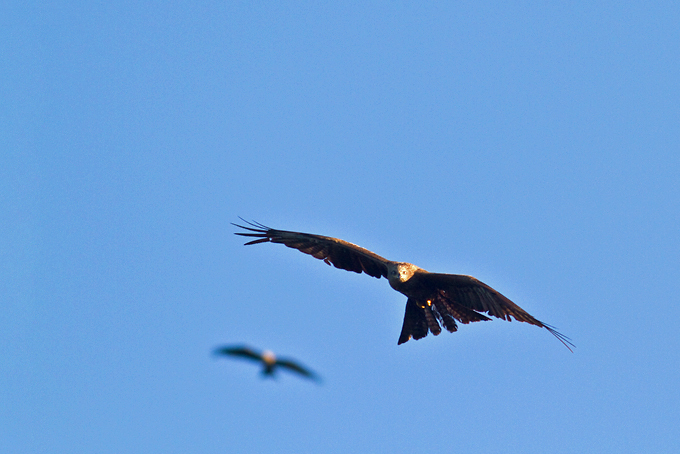 Marsh Harriers and Eleonora's Falcons migrate on a broad front over the Aegean Sea, Honey Buzzards perform a loop-migration being funnelled over the island of Antikythira in autumn but not in spring, Short-toed Snake Eagles (and perhaps Levant Sparrowhawks and Lesser-spotted Eagles) cross the sea at the Bosphorus performing a long detour, finally Common Buzzards and Sparrowhawks are short-distance migrants wintering almost in Southern Greece and Crete. Some comments on the Egyptian Vulture status highlight the dramatic situation of the Balkan population of this species that is rarely observed migrating at the watchsites. Panuccio M., Agostini N. & Barboutis C. 2013. Raptor migration in Greece: a review. Avocetta 37: 1-7. In this period our friend Emanuele Guido Condello is collecting preliminary data on the autumn migration of Black Kites in Southern Continental Italy. 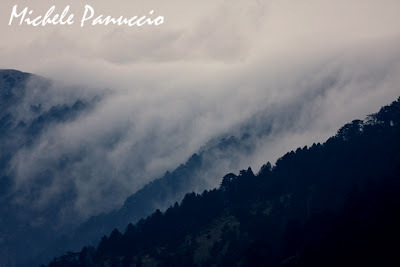 The area is located between the Tyrrhenian coast and the Calabrian Apennines. This long week-end of mid-August occurs the peak of the migration of kites in this region and several flocks including tens of individuals are moving soutward. In central Italy Black Kites are leaving their breeding territories. Many of their nesting sites are already empty and there are observations of small flocks moving southward. They are going to Africa and in the next weeks they will overcome the Mediterranean Sea at the Channel of Sicily reaching Tunisia. In the picture below our feeding point for Black Kites. We will be waiting them back next spring.